Team Info: The 2019 Hawks GOLD 8U - Obrycki team will be this years "Developmental Squad". The team will be made up of players that range for age 6 through 8 years of age. The purpose of this team is to work with the players early to help generate good habits, before bad habits happen. We have been training a developmental team for the past three years. The players that have participated in this concept have had a significant advantage starting in their true 8U season.This squad will play a much lighter scheduled then the rest of teh organization due to their age. They will play in less tournaments due to their age and as a result the HG tuition for this developmental team is less expensive than the normal HG tuition.The team will play against 8U teams and the purpose will be to get the live game experience now using this season as a spring board to their travel baseball experience.Contact Dave Piesko (810) 533-0418 or @ hawksgold@outlook.com for more information. Tryout Notes: Contact us and we can discuss a date and time that we can evaluate your player. Team Info: There will be two (2) 8U Hawks GOLD teams in 2019. Both teams will receive the same "top shelf" training that the entire HG organization receives. This training and instruction separates HG from all other organizations. The coaching, training and instruction your player will receive will put them in a unique position to accelerate in baseball. The Hawks GOLD organization was voted as a "Top 100" program in the nation. With 30,000 baseball teams in the USA this is quite an accomplishment. This rating is due to the culture HG creates with positive coaching, 2nd to none training and instruction and impressive results on the field. HG earned a 1st place finish at every age group in the KVBSA league in the 2018 season. As a program, our teams won 5 state championship titles (8U, 9U, 10U, 11U & 13U) and 5 National Championship titles (8U, 10U & 11U). Several HG teams are rated the top team in the state of Michigan and many of our teams are rated in the "Top 10" in the country. We believe that our player development program effectiveness can be measured by the success we have on the field. Train, Prepare, Succeed! Team Info: Save the date! LCB Legends tryouts 7/28 and 7/29. Teams from 8U-17U. 8U-14U will have tryouts on 7/28 and 7/29. 15U and up will be TBD in August. If you can't make it or prefer a private tryout please email.We send two teams at 12U to the Cooperstown Dreams Park!!! Team Info: Legacy offers Select and Community travel options for ages 8u-18u. Teams can decide to play a full tournament schedule or league play plus some tournaments. Both Select and Community have full off season training packages in our state of the art training center and dome. Paid coaches are an option. Team Info: Plan to play KVBSA for league plus 2-3 tournaments following the travel league play. Home/practice field is in Westland. Indoor/winter practice at Pryde Athletics. Tryout Notes: Contact team to schedule a tryout. Team Info: The Cannons are a growing travel baseball organization offering 8U-15U for 2019. Team Info: There will be two (2) 9U Hawks GOLD teams in 2019. Both teams will receive the same "top shelf" training that the entire HG organization receives. This training and instruction separates HG from all other organizations. The coaching, training and instruction your player will receive will put them in a unique position to accelerate in baseball. The Hawks GOLD organization was voted as a "Top 100" program in the nation. With 30,000 baseball teams in the USA this is quite an accomplishment. This rating is due to the culture HG creates with positive coaching, 2nd to none training and instruction and impressive results on the field. HG earned a 1st place finish at every age group in the KVBSA league in the 2018 season. As a program, our teams won 5 state championship titles (8U, 9U, 10U, 11U & 13U) and 5 National Championship titles (8U, 10U & 11U). Several HG teams are rated the top team in the state of Michigan and many of our teams are rated in the "Top 10" in the country. We believe that our player development program effectiveness can be measured by the success we have on the field. Train, Prepare, Succeed! Tryout Notes: Please contact Hawks GOLD (David Piesko) @ (810) 533-0418 or email @ hawksgold@outlook.com to arrange for an evaluation. Evaluations begin 8/1 and continue until we have made our final selections. We have positions available on our 9U teams. Tryout Notes: Team is looking for two players to complete their 2019 roster. Contact Coach Gregg to schedule a tryout. Team Info: Team plans to play in the KVBSA Advanced Division and play in 8-9 tournaments. Would like to put together a team that will grow and play together for many years. Tryout Notes: We are looking for 1-2 experienced, competitive team players. Please contact me at 734-660-4280 to arrange a private tryout. Tryout Notes: Please contact Keith Cottongim for a private tryout 248-467-0233 or email novinitrocottongim@gmail.com. We are looking for 7-10 players. Team Info: Team will practice in the finest facilities in the area with more winter training time than any other organization around! Team will play in the KVBSA w/ tournaments. Brand new turf outdoor fields with lights! Team Info: We are a newly formed youth baseball travel team based out of Livonia. We will be playing in the KVBSA league in the 2019 season as well as participating in 4 to 5 tournaments. Some of the things we focus on are good arm care, strength and agility, and a strong foundation of baseball skills and fundamentals. Tryout Notes: We are looking for 1 to 2 players to round off our roster. Pitching and catching experience is highly desired. Team Info: We are an advanced team playing in the KVBSA. We are committed to developing baseball players and not just a win at all cost mentality. Tryout Notes: Looking for subs for tournaments and games. Possible roster spot available. 9u or 10u eligible players are welcome. Team Info: There will be three (3) 10U Hawks GOLD teams in 2019. These teams will receive the same "top shelf" training that the entire HG organization receives. This training and instruction separates HG from all other organizations. The coaching, training and instruction your player will receive will put them in a unique position to accelerate in baseball. The Hawks GOLD organization was voted as a "Top 100" program in the nation. With 30,000 baseball teams in the USA this is quite an accomplishment. This rating is due to the culture HG creates with positive coaching, 2nd to none training and instruction and impressive results on the field. HG earned a 1st place finish at every age group in the KVBSA league in the 2018 season. As a program, our teams won 5 state championship titles (8U, 9U, 10U, 11U & 13U) and 5 National Championship titles (8U, 10U & 11U). Several HG teams are rated the top team in the state of Michigan and many of our teams are rated in the "Top 10" in the country. We believe that our player development program effectiveness can be measured by the success we have on the field. Train, Prepare, Succeed! Tryout Notes: Please contact Hawks GOLD (David Piesko) @ (810) 533-0418 or email @ hawksgold@outlook.com to arrange for an evaluation. Evaluations begin 8/1 and continue until we have made our final selections. We have positions available on our 10U teams. Tryout Notes: 10u Michigan Blue Jays Raetzel is looking to add 1-2 experienced, competitive team players. lease contact by phone or email for more details about our team and to schedule a private tryout with our Coaches. Team Info: This is the inaugural season for the Milan Reds 10U baseball team. After many years of success with our now 14U age group, we are excited to bring high-quality baseball training to Milan/Ypsi/Saline area 10U players. We strive to give talented players access to more challenging travel ball which otherwise would be cost prohibitive. Our goal for the 2019 season is to compete in the Community South division of KVBSA and participate in three local tournaments. Our long-term goal is to prepare a team of 11-12 players to play and compete at Cooperstown Dreams Park in summer 2021. Tryout Notes: We are seeking 1-2 players to round out our roster. Experienced or interested catchers are highly desired. Contact Bob to discuss a date and time that we can evaluate your player. Team Info: There will be three (3) 11U Hawks GOLD teams in 2019. These teams will receive the same "top shelf" training that the entire HG organization receives. This training and instruction separates HG from all other organizations. The coaching, training and instruction your player will receive will put them in a unique position to accelerate in baseball. The Hawks GOLD organization was voted as a "Top 100" program in the nation according to "Youth Baseball Magazine". With 30,000 baseball teams in the USA this is quite an accomplishment. This rating is due to the culture HG creates with positive coaching, 2nd to none training and instruction and impressive results on the field. HG earned a 1st place finish at every age group in the KVBSA league in the 2018 season. As a program, our teams won 5 state championship titles (8U, 9U, 10U, 11U & 13U) and 5 National Championship titles (8U, 10U & 11U). Several HG teams are rated the top team in the state of Michigan and many of our teams are rated in the "Top 10" in the country. We believe that our player development program effectiveness can be measured by the success we have on the field. Train, Prepare, Succeed! Tryout Notes: Please contact Hawks GOLD (David Piesko) @ (810) 533-0418 or email @ hawksgold@outlook.com to arrange for an evaluation. Evaluations begin 8/1 and continue until we have made our final selections. We have positions available on our 11U teams. Team Info: Building upon a successful 2018 10U campaign, the 2019 LCB Legends Black 11U team will be an Open or Advanced division team playing in approximately 14-18 KVBSA league games. The team will play in 5-6 weekend tournaments with a primary focus on competitive tournaments in the Metro Detroit area. At least one of the tournaments will be an overnight weekend trip. The schedule will result in approximately 35 to 45 games being played in the 2019 season. Our coaches are dedicated to providing players with the highest level of training and coaching to help improve their skill set. Our goal is to make sure we have developed the players so they are ready for the next level, next personal goal, whatever that may be. They teach the players about TEAMWORK, WORK ETHIC, and how to COMPETE at a higher level. Tryout Notes: Recently lost a player due to family relocation so we are looking for one player. Please contact Coach Frelich to schedule a private tryout. Team Info: We will play KVBSA league games and 8 tournaments - 6 local plus Cedar Point and Grand Haven. Tryout Notes: Looking for one more player. Contact Coach Grayson to schedule a private tryout. Team Info: The Midwest Pirates is under the Michigan Red Sox Organization umbrella, which allows for use of the facility. The team is based out of Birmingham, Michigan with our home field at St. James Park off of Lincoln between Southfield Rd and Woodward Ave. Our indoor facility practice will be held at the Red Sox training Facility located at 2225 Elizabeth Lake Road, Waterford, Michigan. Our head coach will be Blaise Wood. Blaise has strong experience as both a professional player as well as a coach. He brings a tireless work ethic, professionalism, and a passion for baseball. His goal is to develop each of the boys so they are ready for high school/college baseball. Team Info: The NFWB Cobras are a community based travel program. This will be a league and tournament team focused on player development and fundamentals. We will participate in 4-5 tournaments from April through early July. The tournaments will be local, with potentially one out of town. We are looking to build a competitive, yet family friendly and fun team. We encourage kids to play multiple sports. Winter practice will begin in January. Team Info: The Novi Nitro Baseball Club is in its 4th year.We are a youth travel baseball program with the philosophy to build the necessary skills, emphasize teamwork, and develop strong character that will help the players to grow as they get ready for their next level of competitive baseball. Novi Nitro teams will compete in KVBSA from Community to Open level based on each team's skill level to be determined by their head coach. Novi Nitro teams will also play in approximately 5-8 tournaments, to be determined by each head coach, some may require an overnight stay. We are not all about winning, our focus is about developing players to maximize their potential individually and as a team. We train indoors in the fall and winter at The Baseball Lab, which features (2) Hit Trax Simulators. Hit Trax is the first and only simulator to show complete statistics of ball flight from the hitter's perspective, and can measure pitching, pitch velocity, location, % strikes, strike zone analysis and for the older players can measure late break movement. We will also be having conditioning and pitching clinics throughout the winter months. All coaches are qualified with several years of coaching and/or playing experience at the travel to college level. More information can be found by visiting our website (www.novinitrobaseballclub.org) or visit our Facebook Page.Players for all teams are selected by that age groups head coach. We encourage multi-sport athletes.Novi Nitro travel teams are open to all communities in the area we do not have a residency policyWe are looking to add players with pitching experience and ability to play multi positions, looking to have fun, learn the game and play competitive baseball. Tryout Notes: Seeking two players to complete 2019 roster. Contact team to arrange a private tryout at The Baseball Lab in Novi. Tryout Notes: Look for one more player. Contact team to arrange a tryout. Team Info: Our team participates in strength and agility training, pitching and hitting with professional MLB instructors Blaise Woods. Practices are focused on fundamentals and high repetitions while maintaining a positive and fun atmosphere. We will be attending in 2019 The Ripken Experience and Grand Park (Indy). We will do 6-7 local tournament as well along with playing in the KVBSA League. We will start indoor training with Coach Woods in October - March. In 2020 we will be doing Cooperstown. Tryout Notes: Precision Patriots 11U is continuing to evaluate players for 2019. We are a highly competitive team looking for 2 more players that want to elevate their game. Pitching is a plus! Please contact Coach Crynick for info or to schedule a private tryout. Team Info: SIO Sports is a true player development organization. We pride ourselves as an innovator in both technologies in player managements programs as well as in player analysis and training. We our training based on each individual players goals for the season as well as long term. In each age group, we anticipate having three teams. Our C team will be KVBSA and 1 local tournament at the end. The B Team will be a AA team playing KVBSA and three local USSSA Tournaments, and our A teams will be tournament only teams. Team Info: South Lyon Thunder Blue U11 participates in the Advanced division of KVBSA. Core practices are at Total Sports in Wixom, however, we intend to have multiple training and instructional sessions ranging from lessons from former professional players to speed/agility training. We will participate in at least 5 tournaments with 1-2 out of town. Tryout Notes: Looking to potentially add 1 pitcher with a strong arm for the 2019 season. Please contact Joe Jurkiewicz at 248-770-1635 or sll.jurkiewicz@gmail.com to schedule a private tryout. Team Info: Dbacks Elite 8u Tryouts The Coyotes will have a private tryouts to fill our 12u roster for the 2019 season. 3 to 4 players. We are looking for players with a high level of enthusiasm for baseball and athletics in general who will be highly motivated to practice and develop their skills. Pitching is a plus. We will also be taking our team to Cooperstown 2019. Team Info: There will be two (2) 12U Hawks GOLD teams in 2019. Both teams will be going to Cooperstown. These teams will receive the same "top shelf" training that the entire HG organization receives. This training and instruction separates HG from all other organizations. The coaching, training and instruction your player will receive will put them in a unique position to accelerate in baseball. The Hawks GOLD organization was voted as a "Top 100" program in the nation according to "Youth Baseball Magazine". With 30,000 baseball teams in the USA this is quite an accomplishment. This rating is due to the culture HG creates with positive coaching, 2nd to none training and instruction and impressive results on the field. HG earned a 1st place finish at every age group in the KVBSA league in the 2018 season. As a program, our teams won 5 state championship titles (8U, 9U, 10U, 11U & 13U) and 5 National Championship titles (8U, 10U & 11U). Several HG teams are rated the top team in the state of Michigan and many of our teams are rated in the "Top 10" in the country. We believe that our player development program effectiveness can be measured by the success we have on the field. Train, Prepare, Succeed! Tryout Notes: Please contact Hawks GOLD (David Piesko) @ (810) 533-0418 or email @ hawksgold@outlook.com to arrange for an evaluation. Evaluations begin 8/1 and continue until we have made our final selections. We have positions available on our 12U teams. Team Info: We are a top tier team each year in our division. We play18-20 league games and roughly 10 tournaments including 3-4 indoor winter/spring tournaments. High expectations with great results. We are grandfathered organization and will be going to Cooperstown Dreams Park. Will be playing advanced division 2019. Tryout Notes: Looking for 2 players immediately to fill for our Cooperstown season. Contact team for a private tryout. Team Info: Team will play in KVBSA advanced again this year, play 2-3 weekend tournaments and attend Cooperstown Field of Dreams! Tryout Notes: Team has 1 or 2 spots available for next season. For private tryout please contact Jerry Tiernan. Team Info: Competitive Team looking to add 1 player to a solid 10 player roster. Coaching staff has been together since 8U. Player must have extensive travel baseball experience, and ability to play multiple positions, infield and/or outfield. Pitching a plus, but not a must. We are looking to succeed at AA and compete at Major level for 2019. Cooperstown is part of the schedule along with USSSA tournaments, mainly Metro Detroit with 1 or 2 out of town. We train during the winter at the state of the facility The Cage in Ypsilanti, MI (http://www.playatthecage.com/). See our website for details. 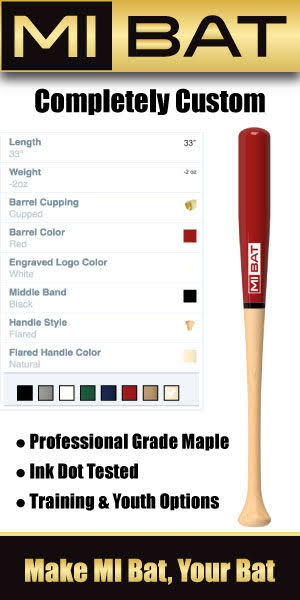 The Cage has everything your player needs to reach their potential as baseball player. Tryout Notes: Contact Coach directly if you have a player interested in a private tryout with Michigan Blue Jays-DeVergilio 12U for 2019 at mrdeve2001@yahoo.com or 586-404-6746. Team Info: Our singular focus is the kids. We will be competing in approx 20 league games and a few tournaments with one being a lengthy stay most likely out of state or at least out of the area. Development for their future on and off the field is our main objective. We had a family that has to move out of the State so we are looking for one possible two new players. Tryout Notes: Private tryouts are available by calling me or when we start our indoor session on Dec 8th and 15th before we break again for the holidays. 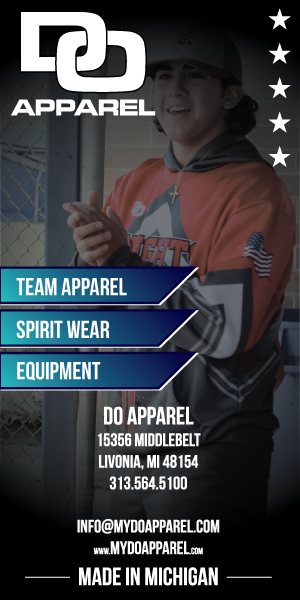 Team Info: We are a team that values your players view of baseball, our goals are to instruct your player in such a way that they develop a love for the game but also a love for their teammates. Your player is treated with respect and instructed in such a way that will prepare them for High School baseball. You can expect 4 to 5 tournaments, with one being an overnight stay. We play in the KVBSA league so you can also expect 20 games. We begin practice in the winter of 2018 and have a full indoor facility which includes batting cages and an indoor field. The benefits of joining the Michigan Kings is that we are a non profit organizations and are substantially less than most travel teams. We will compete in every game and focus on the positives and not just the challenges. We recognize excellent play with providing stickers that will go on the batting helmets. The coaching staff has over 6 yrs of travel baseball coaching experience. Tryout Notes: We are looking for 1 player. Please contact team to schedule a private tryout. Team Info: Novi Nitro 12U Community Team looking for 2-3 players to complete their roster.Pitchers, catchers, and all around athletes needed. 11U players interested in "playing up" are welcomed.This team will compete in KVBSA Community level and will also play in approximately 3-5 tournaments, to be determined by the head coach (some may require an overnight stay). This team will be applying for a spot in Cooperstown.We are not all about winning, our focus is about developing players to maximize their potential individually and as a team. We train indoors in the fall and winter at The Baseball Lab. We will also be having conditioning and pitching clinics throughout the winter months. All coaches are qualified with several years of coaching and/or playing experience at the travel to college level. More information can be found by visiting our website (www.novinitrobaseballclub.org) or visit our Facebook Page. Novi Nitro travel teams are open to all communities in the area.Please contact Kevin Jones with questions or to arrange a private tryout at 765-412-8265 or novinitrojones@gmail.com. Tryout Notes: Please contact Kevin Jones with questions or to arrange a private tryout at 765-412-8265 or novinitrojones@gmail.com. Tryout Notes: Seeking one additional player. No special position needed. Contact team for a tryout. Team Info: The South Farmington Blues is an organization looking to help young athletes learn and grow as players and people. We focus on sportsmanship, knowledge & respect for the game, and developing baseball skills - through both sound physical mechanics and mental presence in game situations. We will likely begin indoor practices starting in November, and ramp up a more rigorous schedule in January, 2019. We plan to play in the OPEN division of KVBSA, in 3-4 local tournaments, and continue our 12u tradition of attending the Cooperstown Dreams Park Tournament, in New York. Tryout Notes: Seeking one player to complete the roster. Please contact us for an individual tryout. Team Info: We are in the Community division of the KVBSA and play our home games at Volunteer Park. Our plan this year...in addition to general league play....is to go to 2-3 local tournaments, potentially 1-2 out of state tournaments, and host an off-site game at Willie Horton field in Detroit. Tryout Notes: We are looking to add 1 more player to this year's team. If interested in scheduling a tryout and/or would like to know more about the team and our 2019 plans, please reach out to Jason Westphal. Team Info: We are a 4th year competitive team from the Milford/ Highland area playing in the advanced division of the KVBSA and headed to Cooperstown this summer. Tryout Notes: 12U Valley Venom is looking for 1-2 players to round out there roster. Please contact coach Rob O'Connor for tryout information. Team Info: West Oakland Wings 12U is looking for one player to round out it's roster for the 2019 season. Catching and/or pitching experience a plus. We have our deposit in at Cooperstown Dreams Park and will look to play one or two other out of town tournaments as well as 3-4 local tournaments. We will also play KVBSA open/advanced or similarly scheduled games. Tryout Notes: West Oakland Wings 12U is looking for one player to round out it's roster for the 2019 season. Catching and/or pitching experience a plus. Private tryouts can be held for interested players and families. Contact Brad Scheck 248-722-0376 with questions. Team Info: Advanced team playing KVBSA with 4-6 tournaments planned. Looking for skilled players to round out our competitive team. Tryout Notes: 1-2 players needed. If interested contact us to schedule a tryout. City/Area: Farmington hills, and many other cities. Team Info: We have been together since 10u, and the majority for much longer in house ball. 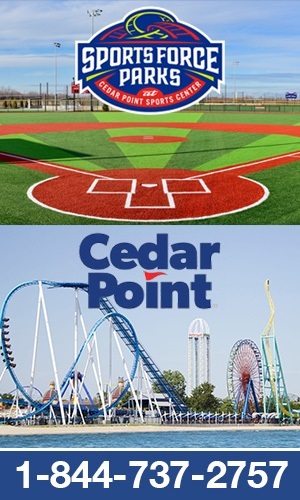 We are doing the Cedar point week long tournament july 7th-12th, plus 3 other local tournaments and Kvbsa league games. We have a solid group od boys that are very talented. Our families are great, and always willing to help out other players/parents with rides/carpool. We are planning fo stay in Open/advanced division. We came in 2nd in our league, And 3rd over all, for all of kvbsa. We do a ton of fundraising to help cover the costs. From charity poker events, to bowling fundraisers. Tryout Notes: Looking for one player to complete the 2019 roster. Team Info: There will be three (3) 13U Hawks GOLD teams in 2019. These teams will receive the same "top shelf" training that the entire HG organization receives. This training and instruction separates HG from all other organizations. The coaching, training and instruction your player will receive will put them in a unique position to accelerate in baseball. The Hawks GOLD organization was voted as a "Top 100" program in the nation according to "Youth Baseball Magazine". With 30,000 baseball teams in the USA this is quite an accomplishment. This rating is due to the culture HG creates with positive coaching, 2nd to none training and instruction and impressive results on the field. HG earned a 1st place finish at every age group in the KVBSA league in the 2018 season. As a program, our teams won 5 state championship titles (8U, 9U, 10U, 11U & 13U) and 5 National Championship titles (8U, 10U, 11U & 12U). Several HG teams are rated the top team in the state of Michigan and many of our teams are rated in the "Top 10" in the country. We believe that our player development program effectiveness can be measured by the success we have on the field. Train, Prepare, Succeed! Tryout Notes: Please contact Hawks GOLD (David Piesko) @ (810) 533-0418 or email @ hawksgold@outlook.com to arrange for an evaluation. Evaluations begin 8/1 and continue until we have made our final selections. We have positions available on our 13U teams. Team Info: KVBSA league at Open or Advance level, and play in 4 or 5 tournaments. Tryout Notes: Seeking Outfielder or 3B. Above average Speed is a must. Strong arm is preferred, but not required. Contact team to schedule a tryout. Team Info: We will play approximately 16 KVBSA league games and 6 or 7 tournaments, one of which is out of state. Tryout Notes: Looking to add one player to its roster for the 2019 season. We are looking for an middle infielder, first baseman, and/or pitcher. Player needs to have previous travel baseball experience at the advanced level. Contact team to arrange a private tryout. Team Info: The 13U Michigan Bulldogs will play in the KVBSA league and will participate in 2-3 local tournaments. Coaches will focus on developing all aspects of a players skill set. In addition, the team will participate in 1-2 community service team building events. The goal of the team will be to keep costs lower than most travel programs in our league. Home games will be played in Livonia. Tryout Notes: The 13U Michigan Bulldogs are looking for one more player to complete our 2019 roster. Catching experience is preferred but not required. Please call/text Coach Mike to schedule your private tryout. Team Info: The Michigan Red Devils is a new independent travel team. The core of the team and its coaches have been together for three years as a Little League-based Tournament team (South Farmington Blue Bombers). We are transitioning to a full-fledged travel team and plan to participate in the KVBSA Community league. Our program will run from mid-January to mid-July and will be lower in cost than most travel programs in the area.Mid-January through Mid-April---- Spring Training at our home base, a brand new state-of-the-art training facility in Farmington Hills. Once a week we will do Core Strength, Speed and Agility Training with a professional trainer, and once a week we will have focused Baseball skills training including hitting off a pitching machine that is adjustable for curves, knuckleballs and fastballs. We will do this for 10-12 weeks depending on the weather and our ability to play outside.Mid- April to Mid-July------ The regular season will consist of league games in the KVBSA Community Division. Home games will be played in Livonia. Away games depend on the other teams in the division. We expect to also participate in 3-4 tournaments with one of them being an overnight trip. Like all teams we want to win, however to do so our focus will be to develop well rounded, versatile players who are improving their baseball skills every day, while building character, sportsmanship and teamwork. We are looking for coachable kids, good families, and baseball skills, in that order. Tryout Notes: We have 8 players returning and are looking for 3-4 new players. Please contact Frank Notturno 734-812-0094 for a private tryout. Whether we run a public tryout depends on the level of interest generated. Team Info: 2019 U13 Valley Venom is an organization committed to increase our baseball skills and knowledge in a fun and team focused environment targeted towards success at the high school level. We will practice and play our games at Milford High School while participating in the Advance KVBSA league as well as 5 tournaments. Team Info: There will be two (2) 14U Hawks GOLD teams in 2019. These teams will receive the same "top shelf" training that the entire HG organization receives. This training and instruction separates HG from all other organizations. The coaching, training and instruction your player will receive will put them in a unique position to accelerate in baseball. The Hawks GOLD organization was voted as a "Top 100" program in the nation according to "Youth Baseball Magazine". With 30,000 baseball teams in the USA this is quite an accomplishment. This rating is due to the culture HG creates with positive coaching, 2nd to none training and instruction and impressive results on the field. HG earned a 1st place finish at every age group in the KVBSA league in the 2018 season. As a program, our teams won 5 state championship titles (8U, 9U, 10U, 11U & 13U) and 5 National Championship titles (8U, 10U, 11U & 12U). Several HG teams are rated the top team in the state of Michigan and many of our teams are rated in the "Top 10" in the country. We believe that our player development program effectiveness can be measured by the success we have on the field. Train, Prepare, Succeed! Tryout Notes: Please contact Hawks GOLD (David Piesko) @ (810) 533-0418 or email @ hawksgold@outlook.com to arrange for an evaluation. Evaluations begin 8/1 and continue until we have made our final selections. We have positions available on our 14U teams. Team Info: We are a 14U travel team and play 22 regular season games through KVBSA and a few tournaments. Our coaches give 110% and we expect you to do the same but still have fun. Tryout Notes: We are looking for players to complete our roster. Please call or email to arrange a tryout. Team Info: Michigan Nationals 14U Warren team looking to add 3 players to complete our roster for the 2019 season. The team will play 3-4 local tournaments and play KVBSA league. Looking for players who love the sport, and want to work hard, with a positive attitude. Tryout Notes: Try out will be held Thursday night or Saturday morning at practice facility. Interested player please contact Gary Warren. Team Info: GROSSI Baseball finished 42-12 in 2018! we still want to improve. Tryout Notes: Looking for athletes that have pitching and catching ability; also middle positions. Private tryouts only. If your goal is to play high level high school and college, contact me immediately.